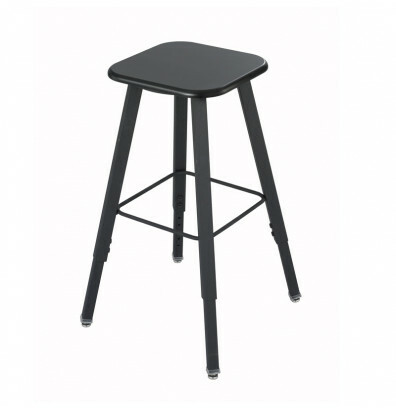 Safco AlphaBetter 1205 student stool offers a durable thermoplastic seat and welded steel frame. Height adjustable for added customization. Available in multiple colors. Safco AlphaBetter 1205 student stool offers a chemical and impact resistant 5/8" thick medium-density fiberboard (MDF) seat with thermoplastic laminate finish. Height adjustable in 1" increments from 21.5" to 35.5" high to accommodate student needs. Sturdy welded steel frame for long-lasting use. Tip resistant base with swivel glide feet moves stool easily across smooth and carpeted floors. Steel wire footrest for increased support. Design allows free leg movement and swinging which encourages a slouch-free sitting posture. 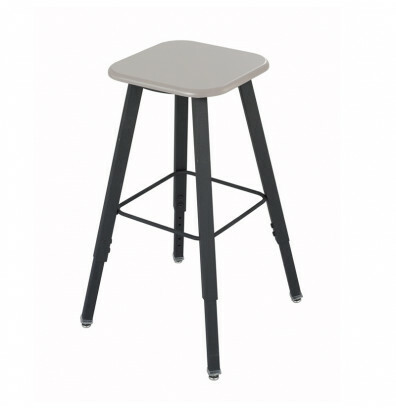 This Safco student stool is available in Beige and Black.